A presentation by Antoine Labranche and Mickael Casol de Casol Villas France. Une présentation de Antoine Labranche et Mickael Casol de Casol Villas France. Scenic shot of the Eiger. A memorable climb with a fantastic team. The project of the Great Alps, which included the following peaks, Mt Blanc (4,809m), the Matterhorn (4,478m) and the Eiger (3,970m), is a mission success. 438 ETAH and CASOL stood on the top of Europe, among which the most symbolic and legendary peaks. All peaks were successfully climbed and everyone is safe. Most importantly, everyone is thrilled and satisfied. The climbing party: Stéphanie Maureau, Antoine Labranche, Guillaume Omont and Alina Zagaytova on the summit of the Eiger (3,970m) with RCAF 438 ETAH flag. On Sunday morning, August 28th 2016, at 09:20 local time (MESZ), our party sucesfully reached the summit of the Eiger (3,970m). A window of clear weather enables the safe ascent to the top of the Alps! This upcoming August 2016, I will embark on a new mountaineering expedition, this time to the Alps. The theme of the expedition is to highlight the symbolic and legendary attributes of these mountains through a combination of summits in one expedition. My objective for this expedition is to climb the Matterhorn, Mont-Blanc and the Eiger via the Mittellegi ridge. These mountain peaks will be climbed within a timeframe of two weeks. This is a serious expedition that is personally undertaken and that will warrant exposure to the dangers and high risks of the great Alps. For his latest project to the Great Alps 2016, Antoine is proud to welcome Casol Villas France to the team. 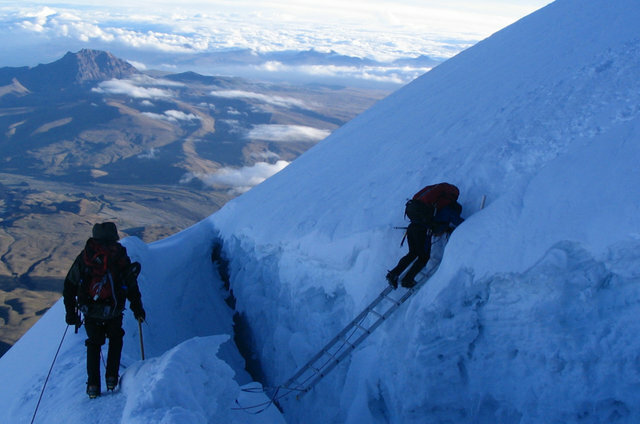 Success in Ecuador, all summits reached! 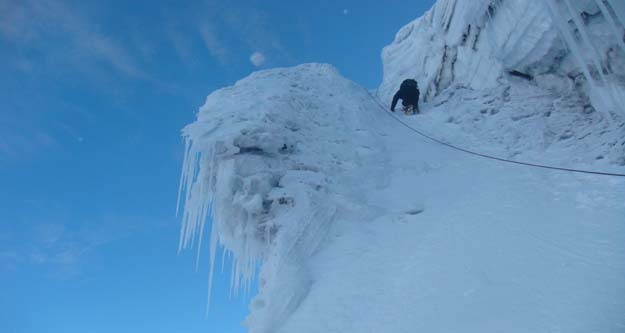 This upcoming December, friend Andre Simoneau and I are heading to Ecuador for some mountaineering in the Andes. After two years we are reuniting for a new expedition. This will mark our third expedition together. We intend on climbing the technical face of Illiniza sur (5,248m/17,267ft), then climb Cotopaxi (5,897m/19,347ft) and spend christmas on the glaciers of Chimborazo before heading to its summit (6,268m/20,564ft). Neither of us have ever climb in Ecuador. We anticipate favourable weather and lots of fun! You can follow us on SPOT tracker. This entry was posted in Uncategorized on August 30, 2016 by mountainquests.